It’s taken a while this year, but it looks like summer is finally here! 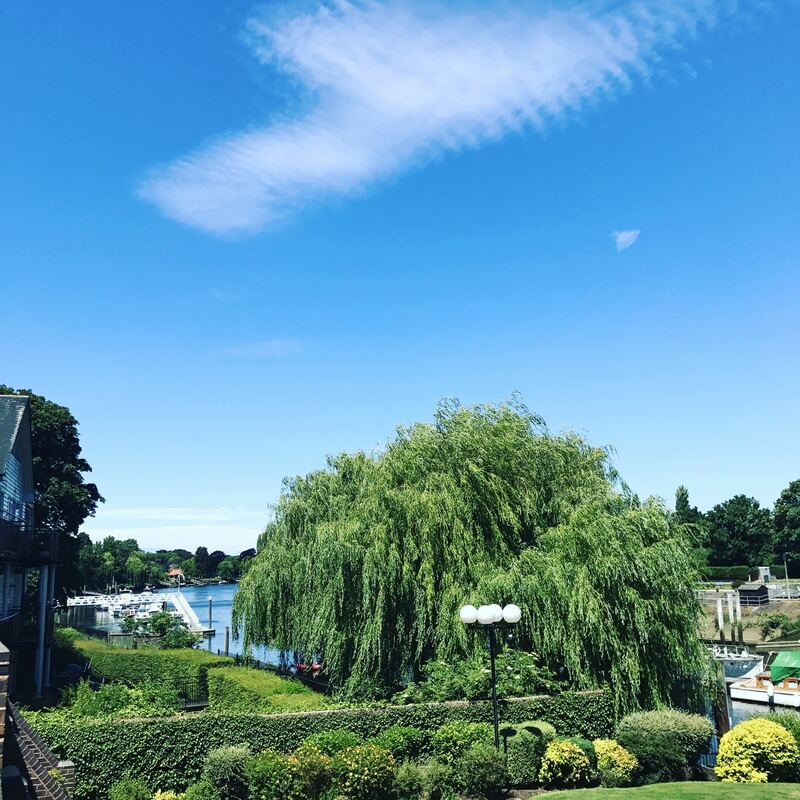 Having been out of action for a while, I’m really appreciating the simple pleasures of June – fresh air and sunshine; being able to sit outside on the balcony, and the odd stroll in the along the local riverside. 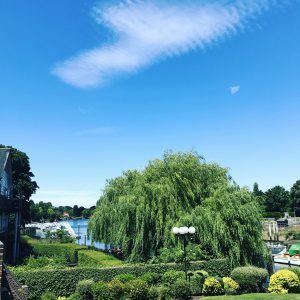 As the weather gets better, thoughts turn to lazy Sunday afternoons, sociable summer evenings and, of course, barbecues. On a healthy but limited diet on account of many allergies and intolerances – as well as avoiding alcohol for the most part – how do you make summer party food and drink more exciting? Thankfully, some fabulous people have helped me find a way. My tea lover friends always appreciate the opportunity to create fruity iced teas and tea cocktails in the summer. I like mixing fruity herbal teas with fresh berries, mint and ice; or lemon and ginger teas with slices of fresh lemon and ginger. For tipsy tea cocktails, a tot of gin, vodka or even Chambord, pair beautifully with a tangy herbal tea. 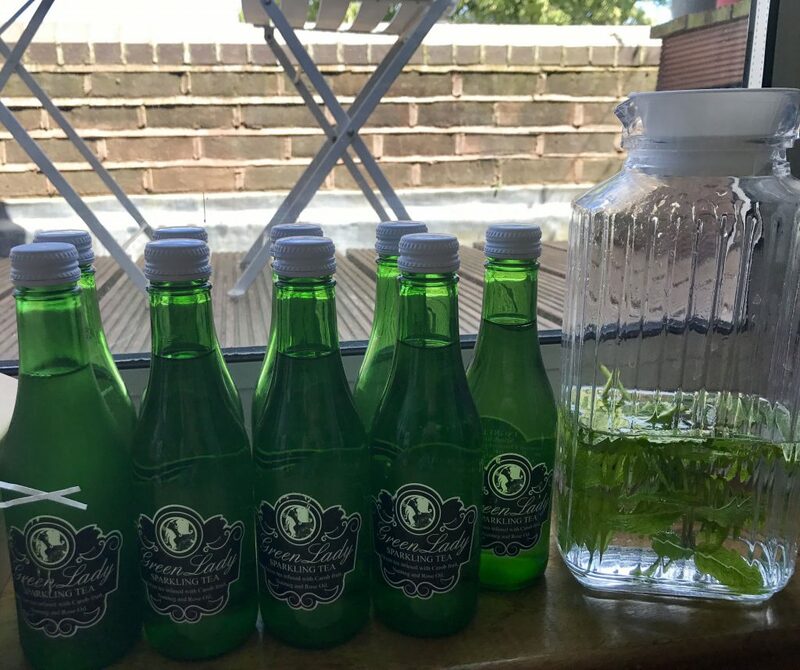 After meeting the lovely people at Green Lady at National Tea Day, I discovered a sparkling tea drink that is a worthy replacement for alcoholic bubbles, but is also a healthy fizzy drink that can be used as an alternative mixer or be mixed into tasty cocktails. Everyone’s a winner! It’s difficult to describe the taste of Green Lady – the light freshness of Darjeeling tea is evident, sitting alongside a sweet (but not too sweet), herby, gingery flavour. It’s the perfect something that little bit different to offer to my visitors for any BBQs this summer. I was excited to try Green Lady, not least because it is made just doors away from where I used to live some years ago, on Green Lanes, North London. A health-conscious, calming beverage, the brand is synonymous with chill-out time and the calmness that summer is all about. They’ve been having a very eventful weekend for Urban Food Fest with free yoga (#Namastea) to spread the word about this interesting new tea-based offering. 4 bottles for £5. Bargain! And in the true spirit of #Namastea, I’m running a competition on Instagram and Twitter to win your very own crate of Green Lady! Simply follow and like @greenladyNo1 and @TeawithRachael or tag us in your best “sparkling summer” pics to be in with a chance to win. My husband and I have been eating very healthily for various reasons, and have been experimenting in the kitchen with different herbs and spices, to make healthy dishes more interesting. 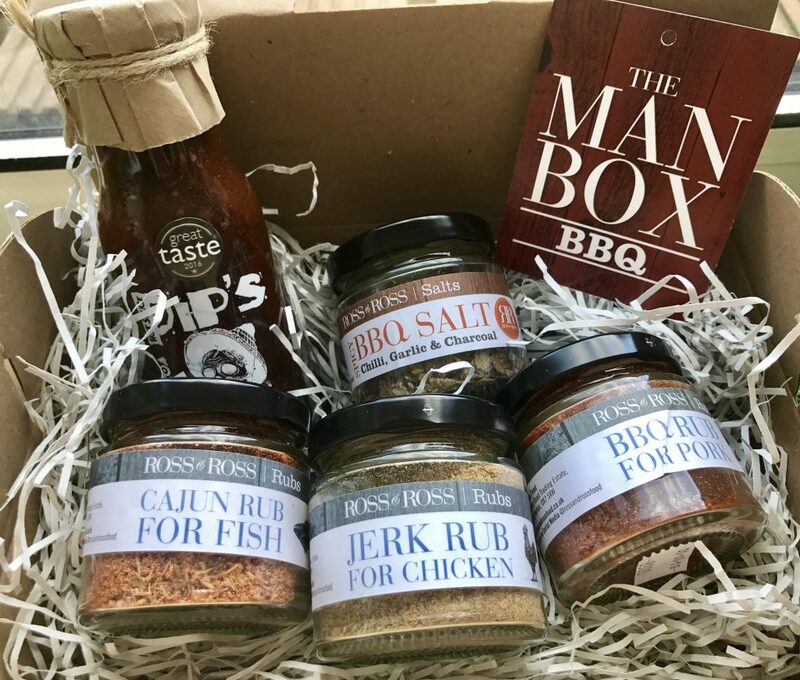 While I’m allergic to peppers and chillies, he’s a big fan of a bit of spice, so I thought it would be nice for him to try out one of the fabulous Man Boxes from the lovely folk at Ross and Ross Food – perfect for the BBQ and a gourmet gift in time for summer! With spicy rubs and sauces to complement all types of meat, fish, and even grilled vegetables, there’s something to make every dish a little bit different, perfectly complementing my “something different” BBQ theme. Hubby has also been trying the spice rubs and flavoured salts out with baked potatoes, soups and salads to add a bit of a kick! There are boxes of all shapes and sizes, including extra big Man Boxes with a range of cured meats – and all manner of meat rubs and sauces. 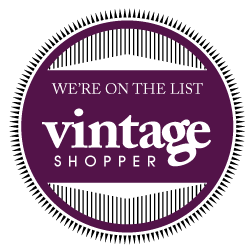 If you’re looking for something to kick start your BBQ season, unique Father’s day gifts, or something special for the man in your life, check them out! 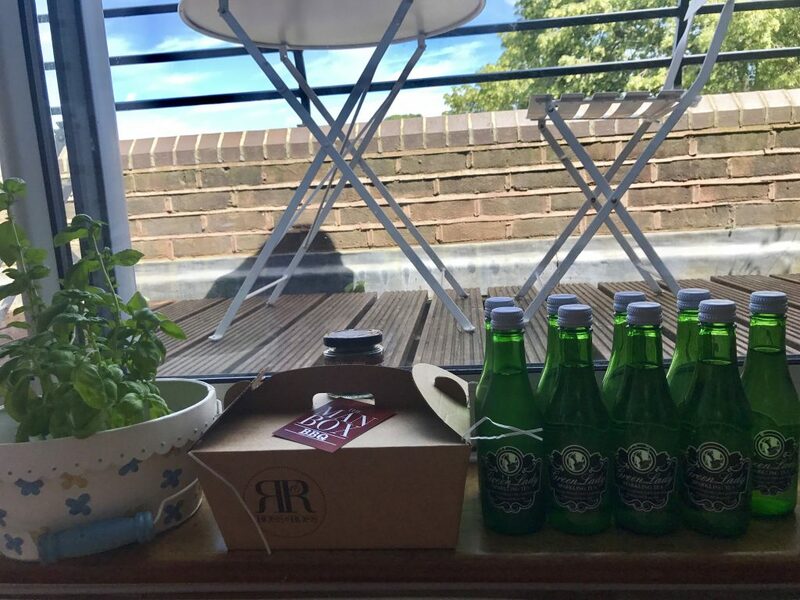 I’ll be sharing some BBQ recipes to match up with the fabulous Green Lady and Ross and Ross Food treats over the coming weeks as BBQ season begins with a bang – watch this space! Until then, enjoy the sunshine and wishing you a sparkling summer!